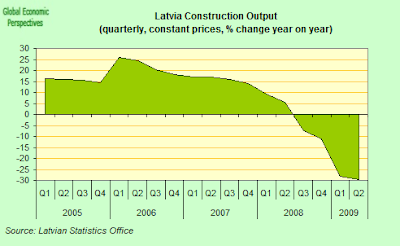 Latvia’s economy shrank a revised 18.7 percent in the second quarter of 2009 over a year earlier in what was the second-steepest drop in the entire European Union (worsted only by Lithuania) according to detailed data released by the statistics office yesterday. The contraction, which is now the largest since quarterly records began in 1995, was revised down from a preliminary estimate of a 19.6 percent annual drop. 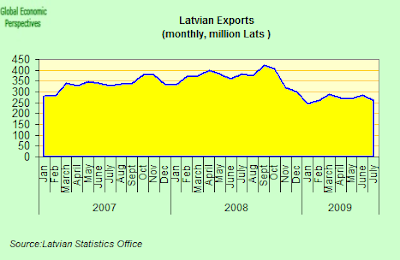 And Latvia's problem can easily be seen in the above charts which show the most recent movement in exports, and quarterly data for constant price imports and exports. 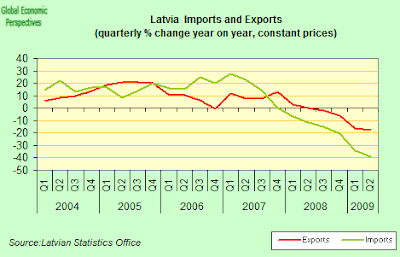 The Latvian economy grew driven by domestic consumption and increased borrowing during 2006 and most of 2007, but then the country ran out of extra sources of cash, and so imports slumped, followed by exports as the global economy entered crisis. Now its time to pay back, which means the lines we see in 2006 and 2007 will now need to be repeated, only this time with exports on the top and imports below. Of course, really doing this will only be possible once the global economy recovers. 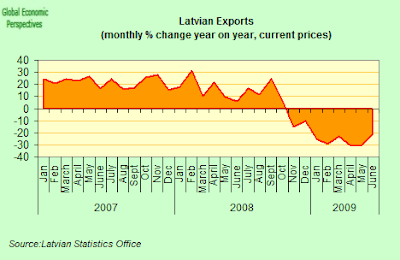 But the key question is, will Latvian export capacity be ready when that critical moment comes, or will Latvia's agony continue, stuck in a horrid "L" shaped "non-recovery"? The most recent data on foreign trade, which saw exports fall and the trade deficit once more widen suggest that the latter danger is far from being a mere theoretical one. So well done Nordea! 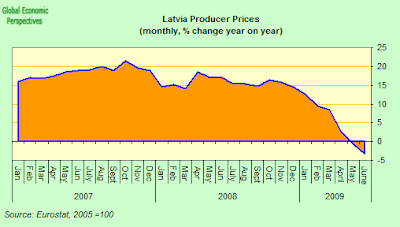 But please permit me to say that this discovery does come as a bit rich from analysts who have persistently remained in denial that the key to Latvia's recovery was a substantial reduction in the price level in order to facilitate exports (on my view better achieved by formal devaluation, but by the express desire of the elected political leaders of the Latvian people now being carried out via a convoluted and painful process known as "internal devlauation"). 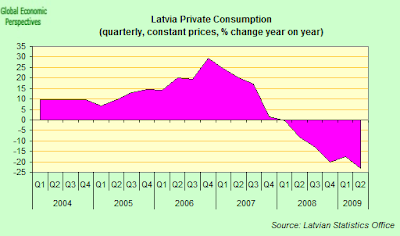 "Worries over Latvia’s public finances continue. Despite aggressive cuts in public spending so far this year, total central government spending in August 2009 was, extraordinarily, exactly the same as in August 2008. This is partly due to spending cuts being offset by increased social spending, and partly to some ministries and agencies awarding their employees big pay increases in June this year before imposing cuts in July as part of the IMF/EU programme. 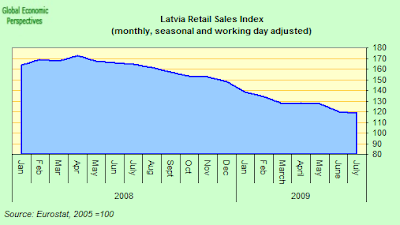 It is still too early to say that everything is fine in the state of Latvia." 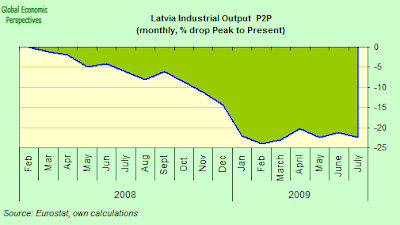 In the following monthly report I will examine just what evidence there is for the idea that Latvia's economy has actually bottomed out. Quarter on quarter, however, the rate of contraction did slow slowed substantially, from an 11% rate in the first quarter to a 1.6% rate in the second quarter. But even though the rate of contraction is now much, much slower, the economy is still contracting, so I think it is not quite accurate to say we have hit bottom yet. And hitting bottom is not the same as recovering, since there is unlikely to be any rapid bounce back, and any "recovery" is likely to have an "L" shape with a slight upward slope. 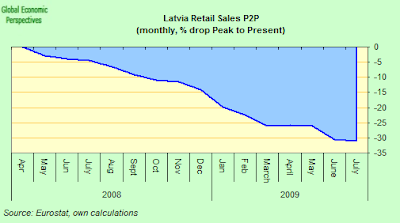 S&P's estimate that Latvia’s general government debt, which stood at 19 percent of GDP last year, will grow to over 80 percent in 2011, an estime which is broadly in line with current EU Comission forecasts. 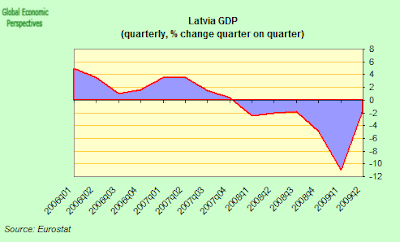 The statement which Moody's following the IMF decision asserting that Latvia’s Baa3 government bond rating - the lowest investment grade, - was being kept at stable was hardly surprising, although the justification they gave - that the bond issuance was supported by “significant, extraordinary fiscal assistance” from international lenders - surely was significant, and very much to the point. The EU Commission and the IMF are now guaranteeing and in order to do this have effectively assumed sovereign responsibility fo the country (see Appendix below). Moody's were also a little more optimistic than S&Ps on government debt, since they estimated it would only rise to about 60 percent of gross domestic product in 2010 and fluctuate from about 60 percent to 65 percent over the medium term. I think this is too optimistic, basically for the sort of reasons S&Ps are giving. On the other hand they did also state that a currency devaluation, while not being their central scenario, "was a clear risk, along with additional problems in the banking sector". 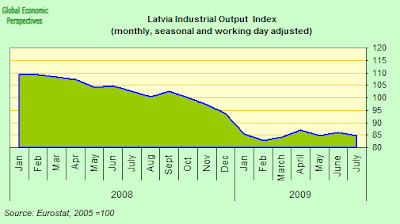 Latvia's industrial output started falling in February 2008, and has now fallen 22.4% from it peak. 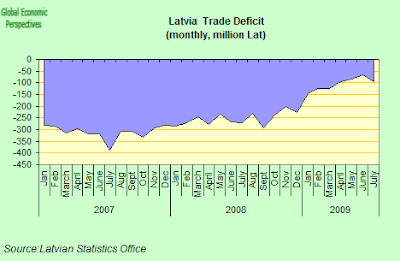 Latvia's July trade deficit was 95.2 million Lati up from 67 million Lati in June. This was the first increase since December 2008. 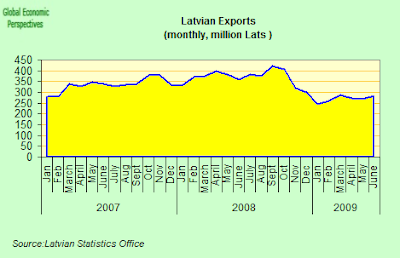 Latvian foreign trade turnover came in at 613.3 mln lats in July, down by 3.8% or 24.5 mln lats in current price terms than a month earlier and and down by 41.1% over July last year. 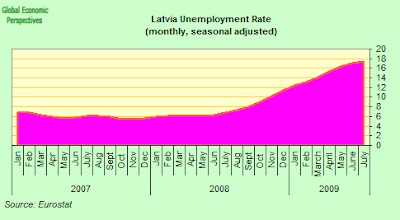 Latvia's unemployment rate hit 17.4% in July according to Eurostat data, and again this was the second highest level in the European Union (after Spain). 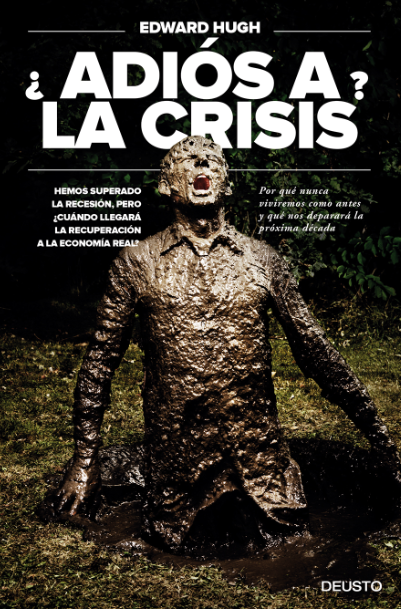 Naturally with unemployment rising to such levels the number of distressed loans continues to rise and bad debt provisions in the banking sector wnet up again - to 6.6 percent of the total credit portfolio in July from 6.1 percent the month before, according to credit supervisor FKTK. 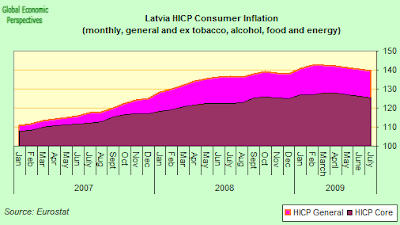 The central bank seems to think the process is working, since they point out on their website that the real effective exchange rate of the lat, which is one measure of the price competitiveness of Latvian goods versus those of the country's major trading partners, improved between April and July, marking the first four-month gain since the beginning of 2005. 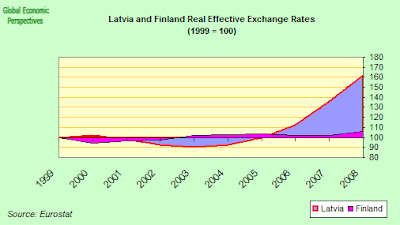 We need to remember howvere that the REER index showed prices developing far faster than trading partners all the way from 2006 through to April 2009 (see comparative chart with Finland below) so there really is a long long way back down to go. 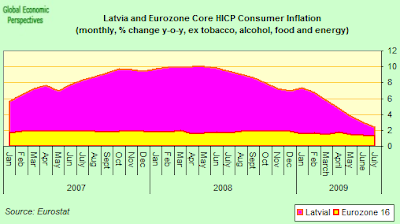 And if we look at the chart immmediately below, we will see that while the gap is closing Latvian prices are still in a worse position in August 2009 (as compared to other Eurozone countries) than they were in August 2008 - that is over the last year as a whole the position has even deteriorated. I therefore contend that this weeks statement from Unicredit Group Chief Economist Marco Annunziata to the effect that, “For the region as a whole and for Latvia, we have gone through the worst,” is way too premature. Conditions are not improving, and as Moody's suggested pressures in the banking system are still building up. 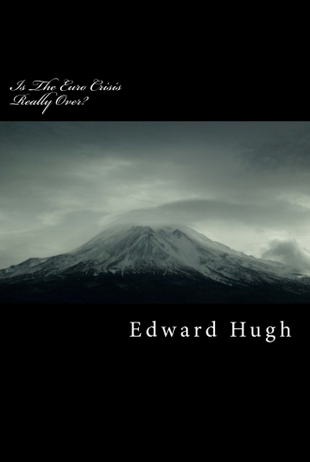 It is an open empirical question at this point whether we have the worst behind us. Even over a longer term horizon it is hard to see the grounds for optimism, since there are certainly no "green sprouts" to be seen on the new babies front, with year on year three month moving average being stuck around the 8% drop level. This depression is going to cast a long shadow over the future of the Latvian people, let's hope for everyone's sake that all those responsible (the government, the IMF, and the EU Commission) are fully aware of their hsitoric responsibilities here. benefits' hand-outs (unemployment, family, etc). 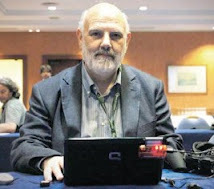 GMI hand-outs and other benefits included in category "other social support".